Shooter—otherwise known as That Mark Wahlberg Movie On Netflix That You Never Got Around To Watching and One Of Those Antoine Fuqua Films That Isn’t Training Day—is becoming a TV show, thanks to Mark Wahlberg and the USA Network. 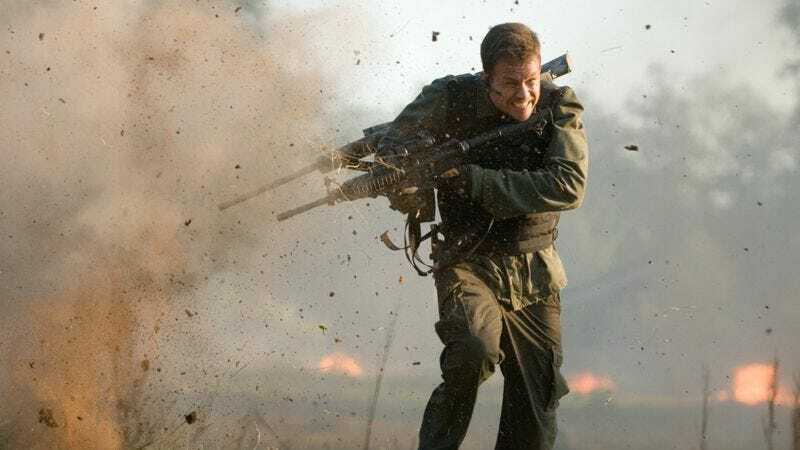 Based on Stephen Hunter’s bestselling Bob Lee Swagger novel Point Of Impact and the 2007 shrug of a movie it inspired, the show will follow a highly decorated Marine sniper who is framed for an attempted assassination of the president and then goes around shooting those responsible. Wahlberg will serve as an executive producer. USA Network has given a pilot commitment to Shooter, and then will assess whether more shooting is necessary to complete the story. It’s unclear whether USA executives believe the film version didn’t get its due when it was released in cinemas or if they’re just hoping to tap into the popularity of American Sniper by reminding us that Bradley Cooper isn’t the only one who can shoot people from very far away. Jackie de Crinis, executive vice president of original programming at the USA Network, called the pilot script “topical,” because people get shot all the time, and “suspenseful,” because you’re never sure which people are going to get shot. Sounds like a terrific recipe for more “eh, maybe someday” entertainment.